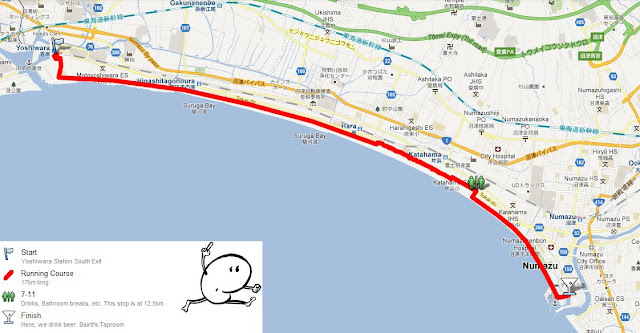 On July 7th, 2012, we will meet at the South Entrance of Yoshiwara Station (吉原駅) at 5:00pm. 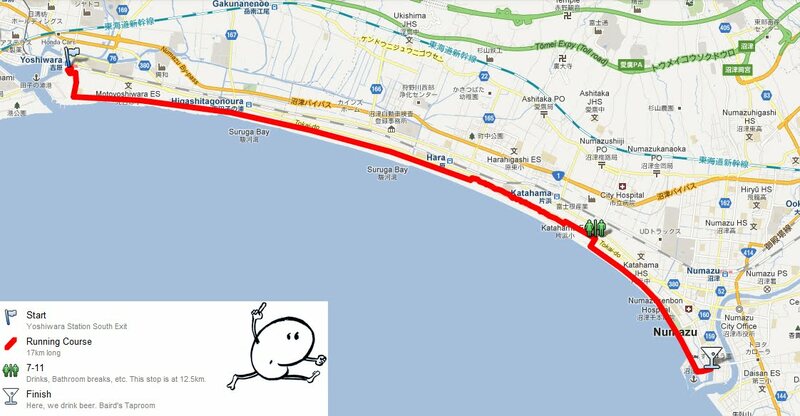 We will run 17km to Baird's Taproom in Numazu Harbor. After drinking beer at Baird's, we can walk back to Numazu Station.